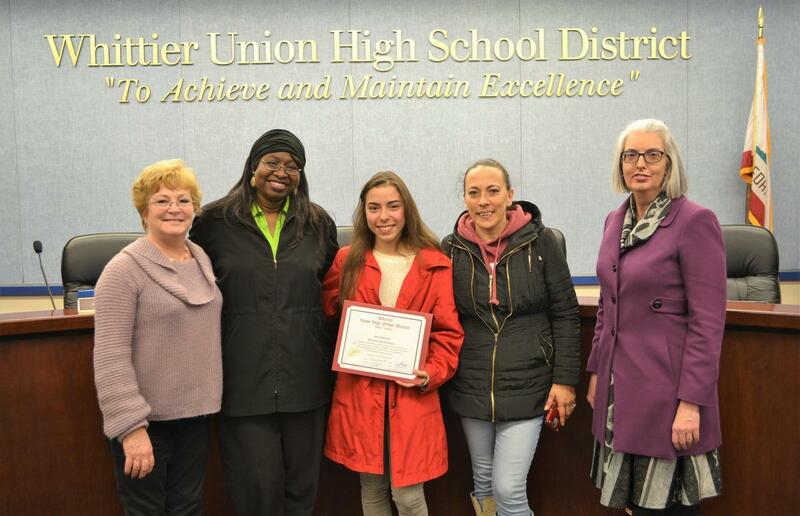 Whittier Adult School student Ana Torres de la Victoria was recently recognized with an Award of Merit for passing the High School Equivalency Test (HiSET) on her first try and embarking on her journey toward becoming an architect. Torres de la Victoria completed her high school education in Mexico, where she graduated in 2017. After arriving to California, she enrolled in several Adult School courses to ensure her success on the exam, including reading and advanced ESL listening and speaking. She took practice tests and completed curriculum designed to help her pass the HiSET on her first attempt. The Adult School is a HiSET testing center and provides students the opportunity to study in its lab and take the exam in English or Spanish. Torres de la Victoria completed 181 hours to prepare for the HiSET and successfully passed all five exams. Whittier Adult School is extremely proud of its 86 percent first-time pass rate.